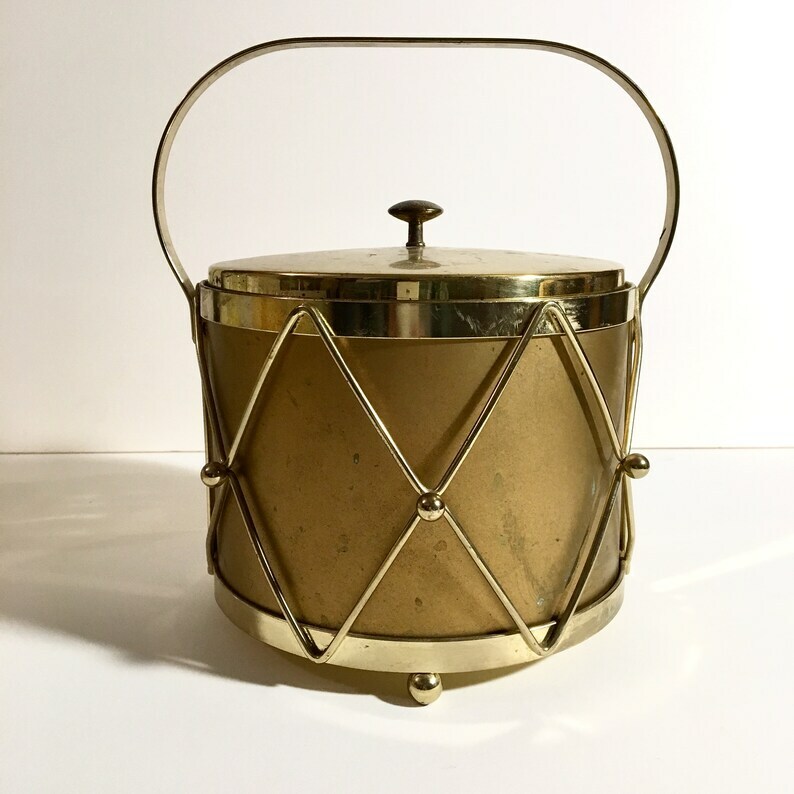 Vintage brass ice bucket with glass lining. Bucket is 6" tall and 7" in diameter. Metal shows signs of light wear. Could use a polishing.